Management – Key Music Management Ltd. Released as deluxe 16-page 12” x 12” hardback picture book with padded cover. Heavyweight purple 12” vinyl, includes the album on CD. ℗ 2018 Dead Can Dance. © 2018 Dead Can Dance. Pressing plant and manufacturer are uncredited, derived from the runout stamps. This is a wonderful album to have and the limited edition book with it's superb track-linked photographs is the perfect packaging. This album cover is different to the previous 'arty' covers: quite a surpise / jolt. Brendan Perry's photograph for the cover is well chosen - it makes you think about the music, where it's come from and where it goes (the deep black eyes absorbing all light and not emitting / giving anything). And I like the fact the image is Perry's photograph, his creation and choice for music DCD have created. Regarding the purple vinyl - yes it is translucent, but only in certain states of mind and when you play the music - I could see straight through it, almost as though the vinyl had disappeared. It's a very clean sound production. I love vinyl when it is produced this well. The music is different in that it is 'one piece' in two acts. It is not a collection of beguilingly beautiful songs, there is a sense of progression with this piece of music. The final part of the album (Psychopomp) is a wonderful merging of Lisa's and Brendan's voices - Lisa's voice sounds so beautifully pure in this part. I've always said DCD's music is a gift and I am so glad they are back together again - to perform whatever they want . . .
...mine is opaque too, not transparent purple as specified on the sticker. Curious?!? If Aion and Serpent are your favorites, you’ll love this. It’s their best in decades. Is the 'purple transparent' vinyl (which the sticker claims) basically opaque IRL, or is this just my copy? Couple of minutes ago I bought the ordinary Vinyl version. Yes, I was thinking of buying the "deluxe" but I do not see the point of buying it because of the photos - which are without any question good ones! But for the 40€ you'd pay more for the "deluxe" I buy a complete art book with dozens of excellent photos, usually with an introduction, accompanying text etc...! 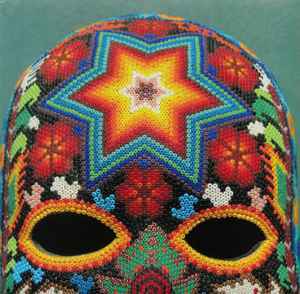 Dionysus is the best Dead Can Dance album since Into The Labyrinth. Mythical, spiritual, magical, timeless... And an extraordinary experience. It is incredible what they did here with World Music ! !